This charming single story is a must see. Pride of ownership shows in this cozy & cute 3 bedroom/2 bath home. Property has been well-maintained. Newer paint throughout and custom wall paneling detail add character. Updated stainless steel appliances adorn kitchen which overlooks the dining area and livingroom. The spacious backyard features a beautifully landscaped yard, seating area accompanied by a pergola and a fire pit all which are perfect for entertaining. Backyard also features a large side yard (possible boat/RV parking) and a built-in shed for extra storage. Updated baths, double vanity in master. Mirrored Closets and built-ins. SchoolsClick map icons below to view information for schools near 4523 Poe Ct Brentwood, CA 94513. Listing provided courtesy of Nancy Gonzales, Keller Williams. 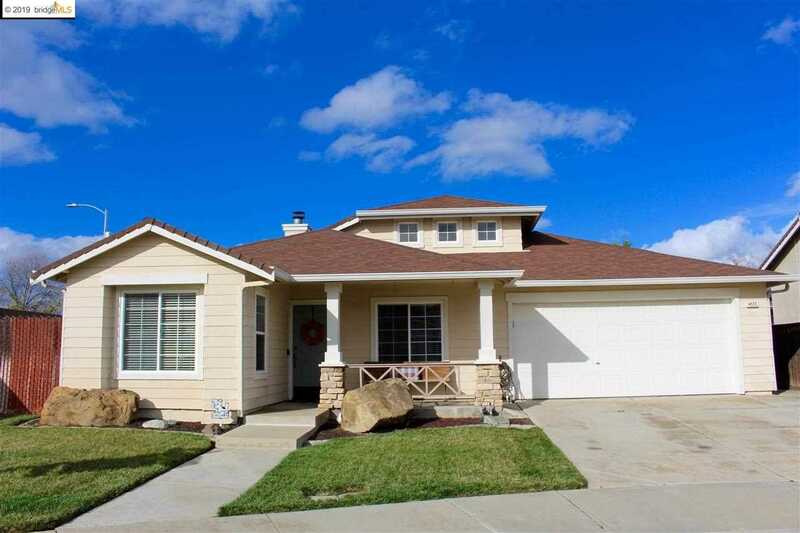 Home for sale at 4523 Poe Ct Brentwood, CA 94513. Description: The property at 4523 Poe Ct Brentwood, CA 94513 with the MLS# 40852233 is currently listed for $477,000 and has been on the Brentwood market for 78 days. You are viewing the details of the real estate listing from the East Area MLS at 4523 Poe Ct Brentwood, CA 94513, which features 3 bedrooms and 2 bathrooms, and has approximately 1211 sq.ft. of living area.